This restaurant is permanently closed. Coming Soon! In the Spirit of Japanese Sashimi, Peruvian Ceviche is freshly made to order, combining the freshest catch with leche de tigre, "Milk of the Tiger"
The food was tasteless and not prepared properly. My wife had to send 2 dishes back before getting something edible. We had been to Pisco several times previously and liked it very much. My wife is Peruvian and previously thought the food was good and authentic. This time the food was not. We asked our waiter if they had changed owners and/or chefs. He said no, but there was a different cook that night, Sunday, March 17th. We won't go back soon and if we do, it won't be on a Sunday or Monday. Everything we ordered was a miss. As someone who really loves Peruvian food and was so excited for something closeby in San Diego, I was fairly disappointed. Pisco was a real treat. Reggie was our server and did a great job of explaining the menu as well as doing everything possible to make the evening enjoyable. We will surely be back! The spicy corn, the yucca croquettes and the seared fish were all highlights. My friend and I were there on a Thursday at noon. There were only a handful of people there. The service was excellent, however, i really couldn't recommend the chicken wrap I ordered. There was lots of shredded lettuce and not so much of the chicken, sweet potatoes and other listed ingredients. I could not taste any sauce, making the wrap very bland. The french fries were piping hot, but with way too much salt. I had been looking forward to eating there and came away disappointed. Loved it. Had a great time with friends. Good service, good food. Fun location. The seafood dinner for $28 was very tasty, but we would have liked some veggies with it. The lamb wasn't very exciting. The Malbec for $12 a glass was quite good. The service was not good. We had the whole chicken. It was delicious. My friends and I loved the food...we shared a bunch of small plates so that we could taste many things. The service was excellent...prompt and friendly. I was sorry the restaurant wasn't busier (it was a rainy weeknight)...I want them to be here for a long time. We will be back. Everything we ordered was on point! Will definitely be back! The first time we ever had a delicious Peruvian meal was in 2017, excellent food we had the first visit, that we can't resist to have a second try again that week we were in San Diego. 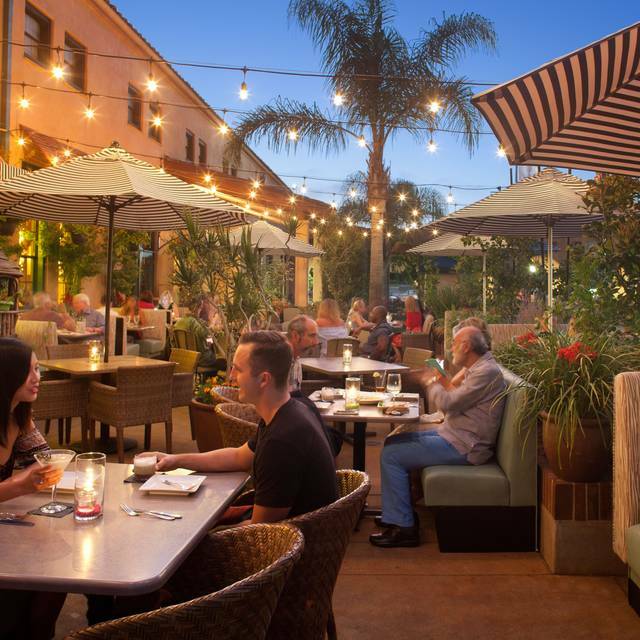 Thus, it's irresistible to have one more delectable dinner in this hidden gem in Liberty Station this year, nice Peruvian decors, good ambiance and relaxing atmosphere. Service was slow at fist, but was compensated with free drinks, and with the outstanding flavors of the dishes we ordered. Appetizer was Yucatán croquettes, very good crispy amuse-bouche. The Pisco fish with seafood and garlic rice was an excellent dish, incredibly tasty - a feast for the palate, so with the dish of my husband. To cap the dinner was a good-looking plate of caramelized plaintains infused with star anise, served with vanilla ice cream and caramel sauce. The main guy at the bar who also served us was a very friendly and attentive person. We will surely be back again next year! Beautiful restaurant with very interesting menu items, it looks like it could have great potential. However, the service was incredibly slow (it took around 2 hours to have dinner which consisted only 3 appetizers), it took around 20min each time we asked for drinks. The drinks also tasted very different every round. The restaurant was only at about 40% capacity and waitress apologized for the slow service because allegedly they had never been so busy! The food, even though was nicely presented and sounded very interesting, was incredibly spicy to the point I couldn’t finish it. A warning definitely should’ve been in place. Grab a deal on GroupOn and couldn't be happier! I was able to make a same-day reservation on a Friday evening without any issues. Loved the ambiance and the waitress was very attentive and helpful in her recommendations. She let us test two different wines so that we can buy a bottle. The Cabernet Sauvignon, Veramonte Reserva, Chile was great! The Ahi Tuna Causitas and Spicy Corn Small Plate are definitely mouthwatering! Our group of four ordered a variety of food and we loved it all. 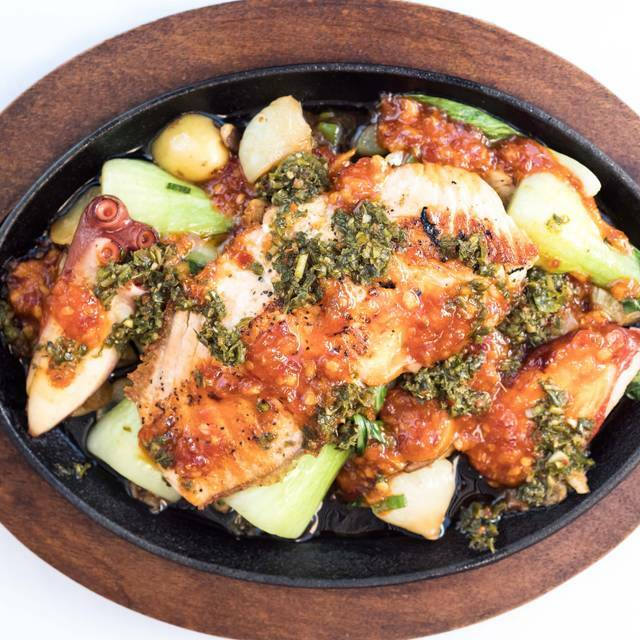 I love the Grilled Octopus Causita. We've never been disappointed and we really look forward to a return visit soon. And we always order the Cotton Candy. 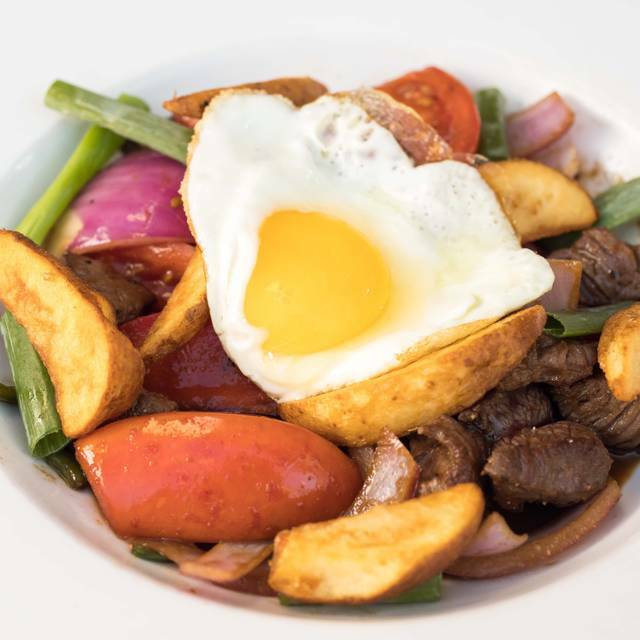 I am from Andean South America, and have tried other Peruvian restaurants in San Diego County. All three others where I have dined served good food and Andean Cuisine. Pisco did not. The food was poor and not authentic Andean Food. The only thing that was good were the Pisco Sours served in a fleet. I would not return to this restaurant. I love the taste of Andean cuisine, but this restaurant was a great disappointment. 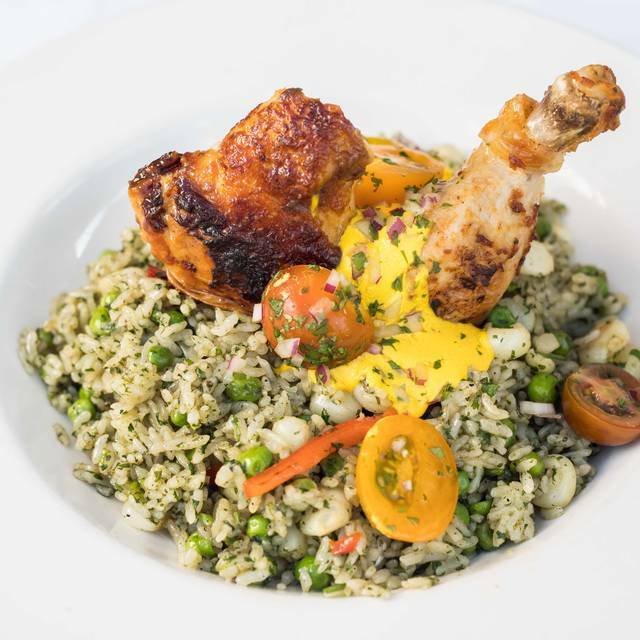 It's hard to find authentic Peruvian food in San Diego so this modern adaption of the cuisine is welcome. There's a good happy hour menu with $2.00 off on drinks and half price on a selected group of appetizers. 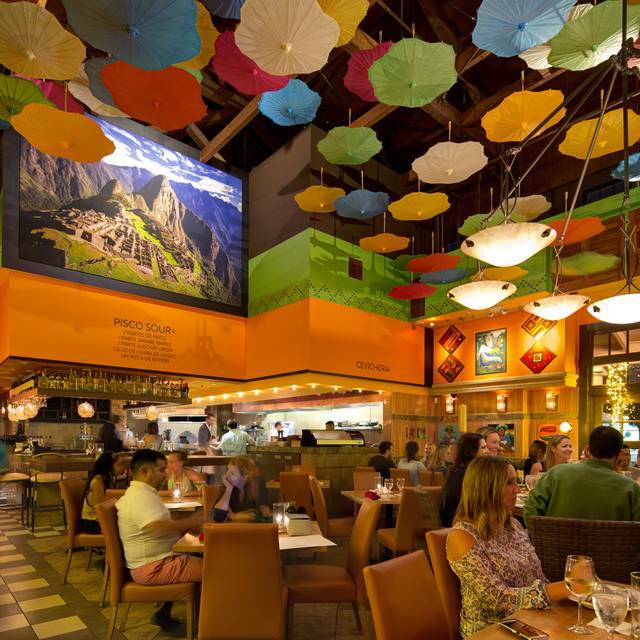 The umbrellas on the ceiling are a great decorative twist and there is both outside and inside seating. Service can be a little slow but overall seems well-intentioned. Note that Yelp currently has a free cotton candy offer; the serving is huge! We did not enjoy our meal at all. I had been once before and we enjoyed ourselves, so I was happy to recommend Pisco when meeting friends for a pre-theatre meal. The food was embarrassingly bad/bland, we felt our waiter, Lee (? ), was disingenuous, and the only thing we liked were the cornuts at the start of the meal. We will never go back! We really enjoyed our date at Pisco. Drinks were tasty and beautiful, Leche de Tigre ceviche was plentiful, tender and spicy, and arroz con pollo was really flavorful. Wish chimichurri would have been just a tad spicier, but we might have singed our taste buds on the ceviche. Service was good, no complaints. Always a favorite,especially the mushroom saltado and the classic ceviche. They did not have my reservation but since only one other table was occupied, we were given a table. Server said he was fairly new and it was evident. Food was excellent as were the Pisco sours. We lucked into being there for Happy Hour and ordered off of the HH menu. If we hadn’t, it would have too pricey. 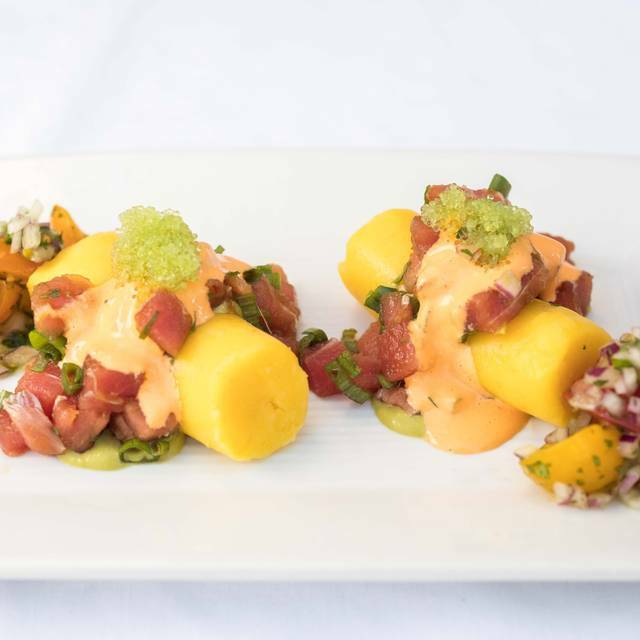 There are 3 ceviches and about a dozen small plates that are half off during HH. Cocktails are two dollars off bringing a Pisco Sour to $11. There is a round table for six which was perfect for our group. Noise level high considering that only three tables were occupied while we were there—with a full house I doubt you can hear your dinner companions. Will go back to try their chicken meal as we loved those we had in Peru. Took my niece here for her birthday. She liked the food, especially since she is a vegan. Her complaint was the service. Below average. Love pisco. Great food, cool decor, awesome service. Order the empanadas! Went for a graduation gathering with a Peruvian family. As a native to Peru a lot was expected while dining at this restaurant. We had a whole chicken with rice and fish ceviche. Out of our selection for lunch, the fish ceviche was by far the best. 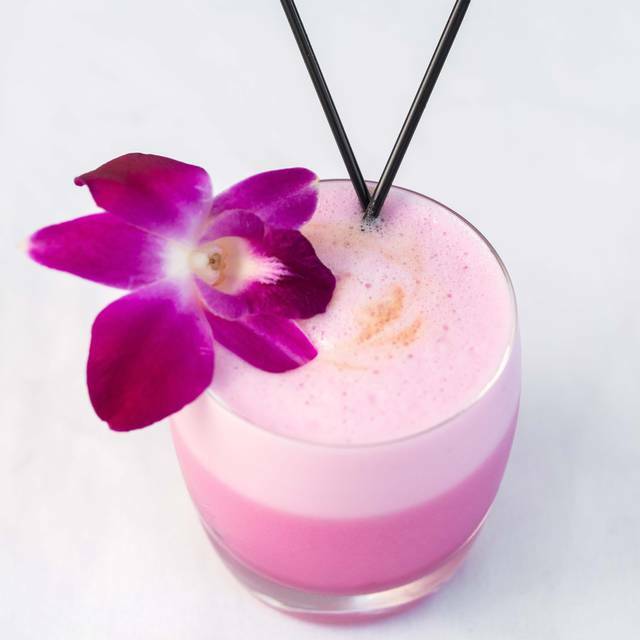 The ceviche was made with a juice called "Milk of the Tiger". This brought out the flavors of the ceviche that we even ordered it twice. Overall this place is a good place to eat. 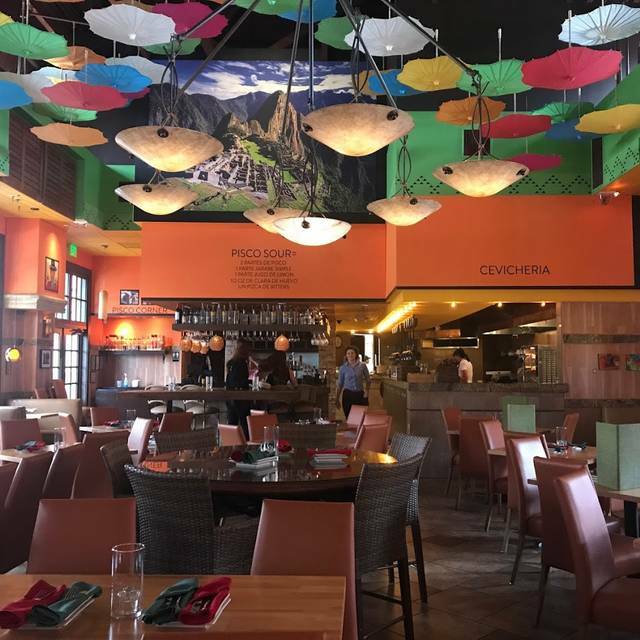 The family did not think the place was Authentic but was a good version of an American Peruvian restaurant. 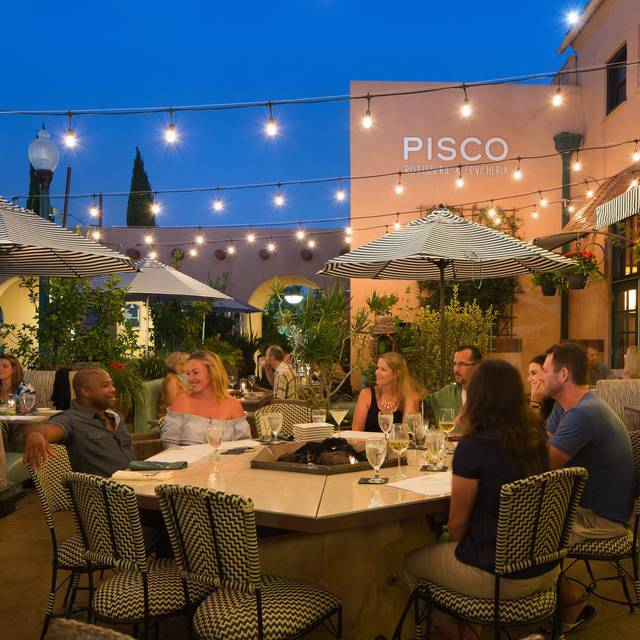 We had a great meal at Pisco during restaurant week. We actually ended up ordering off the full menu instead of the RW one because there was so many exciting dishes we wanted to try. Will definitely be back there again. Food was good but service was extremely slow. I think it was due to the chef as the waiter seemed to be waiting for the orders to come up snd it wasn’t really busy. Food was really good and great atmosphere. Patio was perfect for lunch and was seated in the shade the whole time. Will go back again. The server was the WORST. The restaurant was not very busy and the server who took care of us was just horrible. I thought maybe he was the only person working and he had a bunch of tables outside but, sadly no, he just sucked. The food was delicious .. especially the ceviche. We tried 3 different ceviches and all were amazing. Wonderful experience. We ate at Pisco for my birthday! it exceeded my expectations. Cocktails were wonderful as were the small plates. I would highly recommend the grilled octopus. Great local fresh pasta and other Italian dishes. Casual, laid back style. The menu had both typical, traditional Peruvian food and some items that were not as classic, but innovative and used fresh, local ingredients. The fresh ceviche was excellent, as was the aji de gallina. The wait staff were attentive, informative and efficient. We will definitely be coming back here soon for another great meal. We had indicated that we were celebrating our anniversary but our server made no reference to it. Also , she never suggested to refresh our drinks and was slow to get us the drink Menü when we asked. The restaurant was almost empty still it took almost 10 min for her to come back with the Menü. Short of staff took about 20 minutes before someone came to see us. She kept forgetting things. She had way too many tables. Pricey and small portions. Fish plate was mediocre and came out warm. Small ceviche serving was tasty.